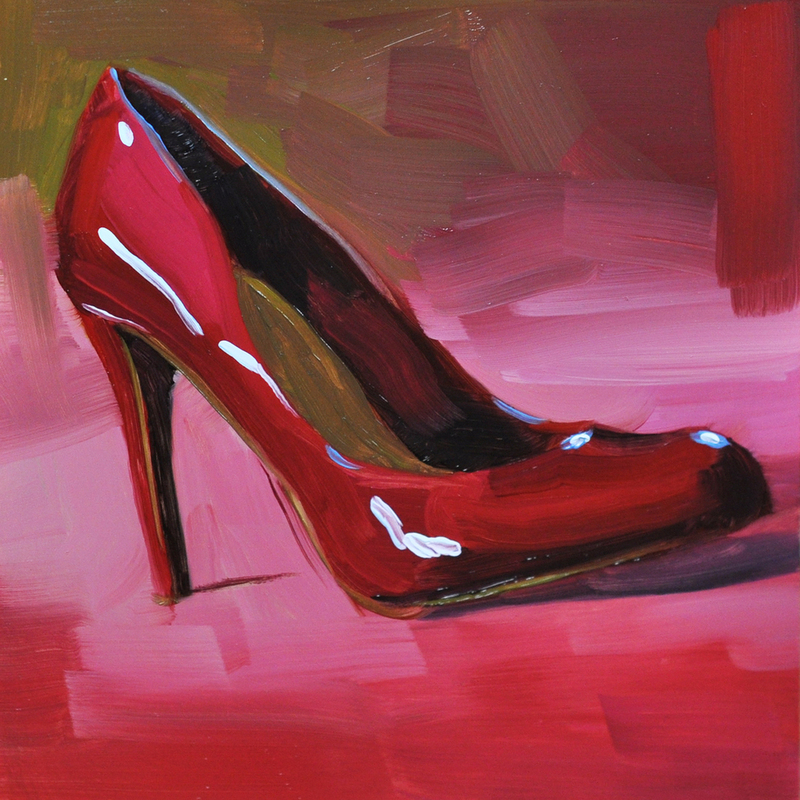 "Red Pump" oil on smooth Ampersand panel, 6"x6", $50. This one was challenging for me. I typically work with cadmiums, but I chose to add Alizarin crimson to deepen the red. Alizarin is very translucent, so difficult to work with alla prima. But I think I prevailed!